For many people, a fire in their home is their biggest fear. However, surprisingly few people take the right steps to reducing the risk of fire, and helping limit the damage if one does occur. You likely already have a smoke alarm fitted in your home, but this won’t alert the Fire Brigade should a fire break out in your home. If you’re serious about keeping your home and family safe, then it’s time to take action- and a fire alarm system from SSH is the perfect way to do just that. When you come to us, you can be sure that we’ll have the perfect fire alarm system to suit your needs. That’s because we have a huge range of different options available, and we specialise in providing each customer with a unique setup based around their property. Whether you’re adding a fire alarm to your existing security system setup, or purchasing a standalone service, we’ll fit your new system quickly for an extremely affordable price. Our technicians will work to the exact requirements of any fire risk assessments, and can also carry out their own assessment if necessary. Even if you have an existing fire alarm system, it may not be up to standard- especially if it is old and outdated. We will gladly offer you a free survey to check over your current system, and we can then takeover the monitoring and maintenance, or upgrade it if required. We design and install all of our products ourselves, so you can be sure you are getting the highest quality fire alarm service around when you come to SSH. For your FREE, no-obligation survey, or to learn more about what we can do for you, please don’t hesitate to get in touch! It used to be the case that your local Fire Brigade could issue fire certificates. However, times have changed, and businesses are now required to bring in expert assessors to check over their property and analyse the risk of fire. These certificates aren’t just for businesses, though- if you care about the safety of your family and property, then it’s also a smart idea to get one for your home, too. 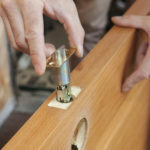 Not only will they help you to reduce the risk of a fire, but they are also useful to have for insurance purposes, too. Fortunately, as fire and security experts, SSH are more than qualified to perform a thorough fire risk assessment for you. 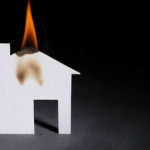 To dramatically reduce the risk of a fire, you’ll need to go one step further than just knowing where any dangers lie. You’ll also need to take active steps to fight back against fire risks, and that’s where our domestic fire alarm systems can be a big help. 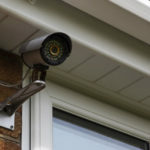 We offer a wide range of systems, and once we have completed your risk assessment, we can tell you exactly what approach will work best for your property. Our professional technicians can then get to work on designing a custom fire alarm system for your home. At SSH Fire and Security, there’s no system too large or small for us to handle. Whatever your circumstances, you can rest assured that we’ve got the right products to keep your property protected at all times. However careful you are, a fire could strike your home at any time. Where appropriate fire protection has been installed, though, the risk of injury, loss of life and damage to property is massively reduced. Even simple precautions can be extremely effective, so it is well worth your time to take these steps. 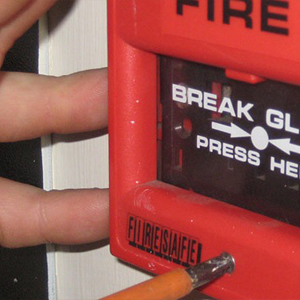 Our fire alarms are the best way to quickly take action in the event of a fire. By warning everyone that a fire has started, you may be able to evacuate the building before the fire takes hold. In addition, the right fire extinguisher in your kitchen or garage is ideal for tackling small fires and stopping them spreading elsewhere. For more information on these extinguishers, please speak to one of our technicians, who will be happy to advise you on the best steps to take. For a quick and easy solution to your fire alarm needs, wireless fire alarms are a great choice. There’s no need for any hard wiring in your property, meaning our technicians can fit them in just minutes. That makes our wireless fire alarms Glasgow ideal for properties where you aren’t able to install a full, addressable alarm, or if you’ve experienced difficulties with other systems. They are also the best approach for listed buildings where cable runs would look unsightly. Since wireless fire alarms are so inexpensive and easy to install, there’s no excuse not to fit one in your home. All you have to do is replace the batteries every five years or so, and you can rest assured that your home is protected in the event of a fire. Get in touch on 0808 164 0280, and arrange your free no-obligation survey today! Excellent customer experience from booking to fitting. Help and advice given at every stage. Very happy with the whole experience. Kevin is a star!